The Victorian Government has complained of being “short-changed” by the Federal Government’s ongoing Mobile Black Spot Program as it co-funds 25 new mobile towers in partnership with Optus. The state Government said it is partnering with Optus to build the 25 new mobile towers throughout regional Victoria, in a bid to provide 5,000 households and businesses with new mobile coverage. The 25 new mobile towers are being constructed across 15 local government areas and will all be up and running by the end of 2018. The first tower, in Nanneella in Northern Victoria, was turned on earlier this month. However, the co-funding commitment comes as the state’s Labor Government makes claims it has been “short-changed” in the latest round of the Federal Government’s Mobile Black Spot Program (MBSP) – due largely to a “severe lack of consultation”. According to a statement by the Victorian Government’s Minister for Innovation and the Digital Economy, Philip Dalidakis, a list of proposed sites released by the Federal Government indicates that just 19 of the 125 towers that will be funded under round three of the MBSP will be in Victoria. “Due to this neglect the Labor Government has sought out other opportunities to help connect regional Victoria,” the statement said. Indeed, Victorian Government has made efforts to improve coverage for commuters on regional rail, and has also announced a $45 million Connecting Regional Communities Program, revealed in the Victorian Budget 2017/18. “We’ve invested almost $31 million in 166 new mobile towers across Victoria, connecting 20,000 premises that previously had no or poor mobile coverage,” Dalidakis said. The Victorian Government is sharing the cost of the new mobile towers with Optus, which revealed in July that it had set aside $1 billion towards the improvement and expansion of its mobile network in regional Australia -- part of its ongoing investment program that has seen more than $3.6 billion put into its mobile networks since 2015. According to the Victorian Government, more than 166 regional communities are now being connected to mobile data and calls due to its co-funding of new mobile towers across the state, 41 of which have been funded with the help of Optus. In June, it was revealed that the second round of the $220 million Mobile Black Spot Program’s rollout would soon be in motion, with Telstra, Optus and Vodafone all releasing indicative rollout schedules for the coming year. All 266 round two base stations, contracted under agreements signed with the Australian Government through the Coalition’s Mobile Black Spot Program, were expected to be delivered by October 2018. Late last year, the Australian National Audit Office (ANAO), published a report entitled Award of Funding under the Mobile Blackspot Programme, in which the Audit Office said it found a number of “weaknesses” in the administration of the program’s first round. Among these weaknesses was the criteria used by the Department to assess the merits of each proposed base station, which the ANAO said “did not sufficiently target funding toward the expansion of coverage where coverage had not previously existed”. The ANAO said that 89 of the 499 selected base stations allocated funding provided minimal new coverage of additional premises and transport routes. 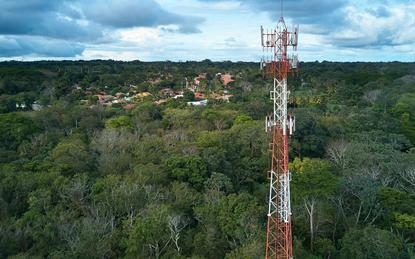 These 89 base stations came at a combined cost of $28 million.